In the Goshamahal constituency in Hyderabad’s old city, Muslims feel virtually disenfranchised. The neighbouring constituencies are all strongholds of the Asaduddin Owaisi-led All India Majlis-e-Ittehad-ul Muslimeen (AIMIM) but Goshamahal’s MLA is T. Raja Singh Lodh of the Bharatiya Janata Party (BJP). The AIMIM is not even contesting this seat, supporting the Telangana Rashtra Samithi (TRS) candidate instead. 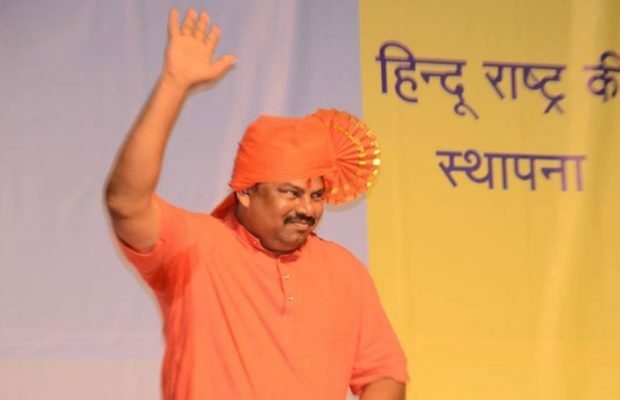 Raja Singh is a rabble-rousing headline hunter who promises to rename Hyderabad as Bhagyanagar, calls the old city a mini-Pakistan, wants West Bengal Hindus to do a Gujarat 2002, and who threatened to burn down theatres showing Padmaavat. Walking around and talking to voters in his constituency is an exercise in discovering fear. Many Hindus and Muslims want to avoid talking about his controversial remarks. Hyderabad hasn’t had a riot for a while and they don’t want one either, thank you. But then some Hindu voters open up, explaining Raja Singh as an answer to Akbaruddin Owaisi, the younger brother of AIMIM chief and Hyderabad’s Lok Sabha MP. The BJP won five of 119 seats in the 2014 assembly election. Bandaru Dattatreya won Secunderabad, one of the state’s 17 Lok Sabha constituencies. Given the BJP’s post-2014 expansion and its stated ambition of winning every election from panchayat to Parliament, it is curious that the party has remained a non-starter in Telangana. It is not a factor this election. It’s as if 2014 never happened. This is even more curious because the BJP can actually prosper here. The state has 12.5% Muslims to polarise against. It has a strong RSS network, and the main opposition party is the Congress that the BJP could have broken like it has in other states. Yet, all that the party can do here is win a few seats by playing the Hindutva card. It has no other game. The immediate reason is that the BJP needed the ruling TRS in the Rajya Sabha and otherwise. Be it the Presidential or the Vice-Presidential elections, GST or demonetisation, Chief Minister K. Chandrasekhar Rao has played a dependable all-weather friend from a distance, like Naveen Patnaik in Odisha. He has praised Prime Minister Narendra Modi often and has publicly maintained good relations with the local BJP leaders. He has thus made it difficult for the BJP to try and dethrone him. The BJP and TRS have grown even closer now that the two have a common enemy, N. Chandrababu Naidu’s Telugu Desam Party (TDP). But that’s not all. The BJP has tried to break the Congress unsuccessfully. Its local leaders know only one game, Hindutva, and are unable to play other games such as caste. Those inclined to vote for the BJP, if their party is not in a position to win, tend to be inclined towards the TRS — since the other side is the BJP’s national opponent, the Congress. The BJP and TRS are natural allies, except the relationship can’t be a formal one, not yet. The BJP is officially opposing the TRS. Only Rao can manage to have both BJP and AIMIM as friends. His government is careful to appease all religions equally, even giving gifts to people on their religious holidays. The BJP has also lost out historically in Telangana because of its alliance with the TDP, which was the main party opposing the bifurcation of Andhra Pradesh. Having allied with a party that opposed Telangana, the BJP now finds it difficult to find an entry in the new state. BJP’s Telangana spokesperson Krishna Sagar Rao says the TDP had been a “parasitical” ally, not letting the BJP grow. To that extent, the BJP’s bitter breakup with TDP may only be good for the party in the long run. It is contesting all 119 seats. The BJP and TRS are attacking each other publicly — Modi wants voters to end the KCR family rule, and party president Amit Shah is making KCR’s proposed reservations for Muslims an issue. These exchanges are helping counter the impression that the TRS will ally with Modi before or after 2019 elections. In other words, it’s just shadow boxing. When Modi says TRS is a ‘ghulam’ or slave of Andhra Pradesh CM Naidu, you know what the BJP really wants from this election: The TDP’s defeat, and thus TRS’ victory.